Lactation describes the secretion of milk from the mammary glands and the period of time that a mother lactates to feed her young. The process can occur with all post-pregnancy female mammals, although it predates mammals. In humans the process of feeding milk is also called breastfeeding or nursing. Breastfeeding provides vital nutrients and vitamins to your baby. 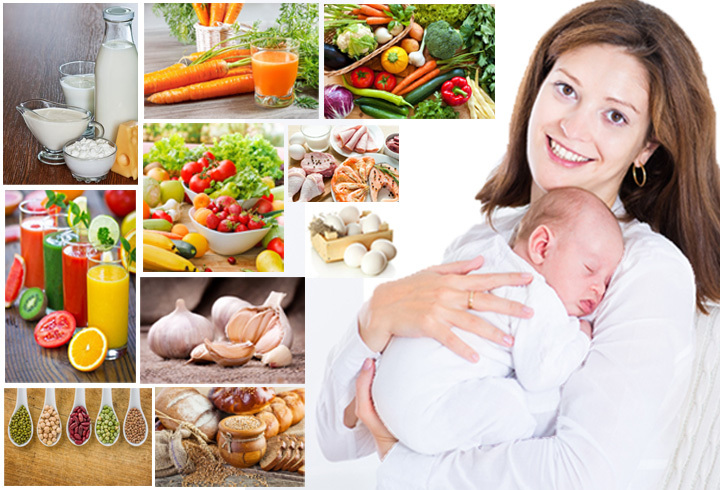 However, many mothers are confused about what they should be eating in order to provide the safest, healthiest breast milk. A mother's diet can impact her breastfeeding baby, making a healthy diet with adequate calories and plenty of fluids critically important for lactating women. Of all the health benefits of Moringa, this is one of the most appreciated in Indian communities, especially in economically weaker sections, because breast milk is the mainstay of infants in the first year of life. Moringa leaves toasted in a spoonful of butter would be given every day to lactating mothers as part of traditional postpartum care. If any ailments or general fatigue causes a decrease in breast milk production in the following months, Moringa leaves are added to the diet again. This ensures not only plenty of milk supply but good weight gain and robust health for the infant. The high calcium content of Moringa leaves could be an obvious reason for the increased breast milk production, but there could be more to it than that. For instance, the effect of calcium supplements comes nowhere near the copious milk production resulting from the use of Moringa leaves. © 2016 Completeherbs Inc. Picture Window theme. Powered by Blogger.